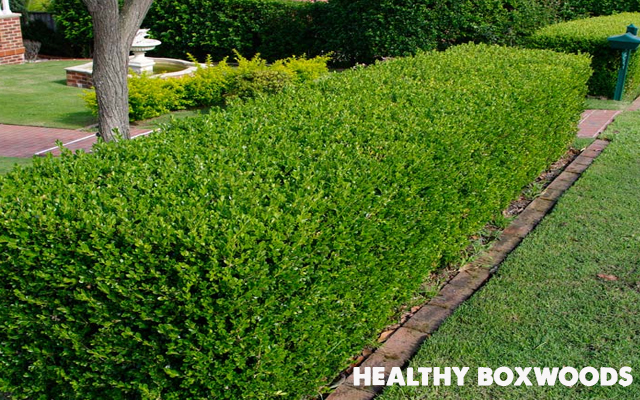 Have you noticed something a little odd about how your Boxwood shrubs have been looking lately? 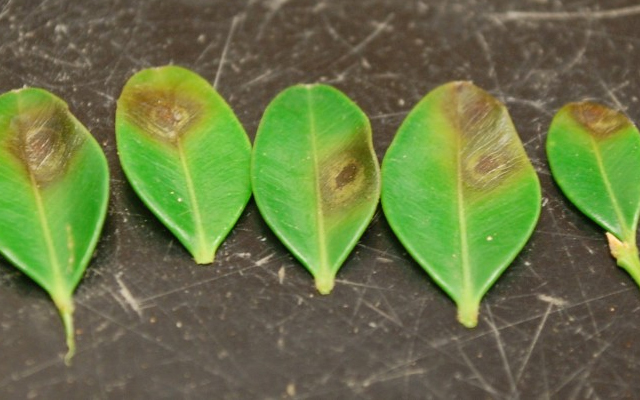 They may be experiencing a condition that has become known as “Boxwood Blight.” This infection begins in mid to late summer with circular dark spots appearing on the newest growth. As the days go on, these spots will continue to grow and a form a ring-like pattern. It forms a lesion that eventually will engulf and kill the leaf causing it to drop to the ground. You may also see black streaks on the nearby twigs. You may also notice white fungal formations mainly under the leaves as well as on infected parts of the stems. Unfortunately, when this popular landscape plant becomes infected with Boxwood Blight, the disease spreads rapidly to other Boxwoods and destroys them within a few weeks. The disease is so contagious it can even be spread by seemingly harmless activities such as gardening or your dog running through the bushes! The spores attach to clothes, shoes, tools, or an animal’s fur so it is best to reduce this type of contact. Another factor may be watering practices, such as sprinklers, because wet and humid conditions are also known to facilitate its spread as well. So what can you do? There is currently no cure but there are several treatment options. Mulching, removing the infected plants, and some fungicides have shown varying levels of success in preventing the spread of the disease. 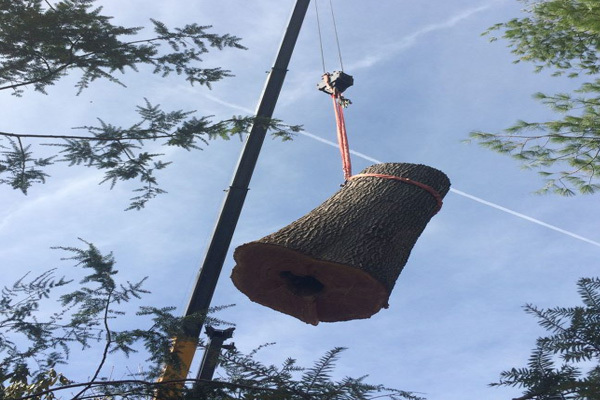 However, the best thing to do is contact us at Westchester Tree Life, Inc. and we will have one of our certified arborists come and assess your current situation. Visit us at www.westchestertreelife.com or call at 914-238-0069! This entry was posted in Uncategorized on October 17, 2018 by Westchester Tree Life. Summer has finally arrived and it’s nice to step outside into our backyards and enjoy the fresh air. Our privacy is always an important topic so let’s look at some ways to gain the privacy you long for without installing unwanted fences. Besides, fencing can be too short to achieve the private feel and they can be quite expensive! Also, fences have an expensive up keep and usually run into situations where repairs are needed. Have you considered what a “natural border” can do for your property? 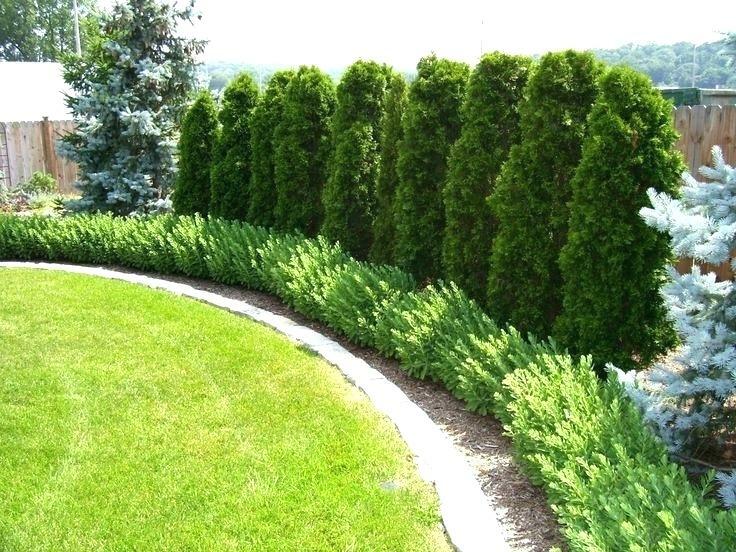 Emerald Arborvitae is a brilliant choice due to its vibrant green foliage all year round. They are a selection of White Cedar and prosper in urban settings. They even do well in clay soil and are very fast growing. 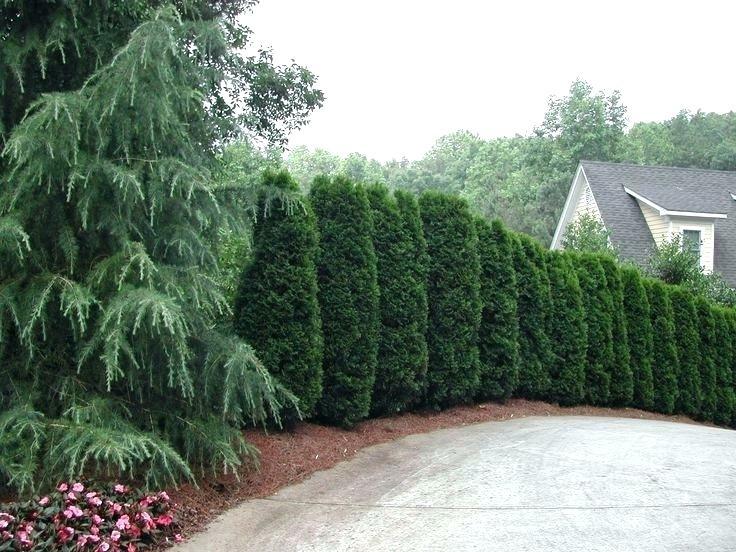 The Emerald Arborvitae makes the perfect natural border offering extensive privacy. They are very space conscientious as well as they typically grow to 3-4’ wide which is great because they won’t take over your yard. Their coloring is unique compared to other Arborativae so this addition to your landscape design will be visually pleasing as well. Tree experts have also noted that they typically retain their bold green color year round better than most trees of its kind. These gorgeous trees make a beautiful backdrop to a perennial garden while providing your family with the privacy that you are looking for. 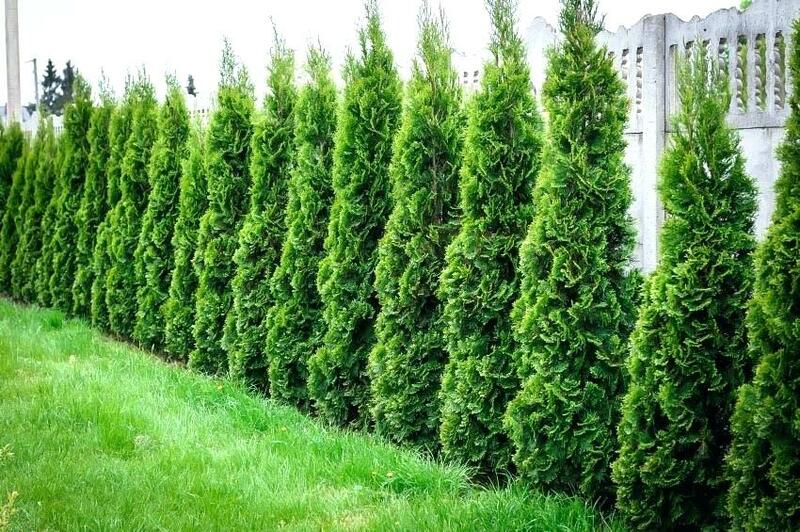 If you are looking for one of the fastest growing privacy trees then the Leyland Cypress is for you. It can grow 3-4ft per year and can surpass 50ft in 15 yrs. Its upright growth produces very soft foliage of mid hue greens. They can thrive in most soil conditions and even survive drought. 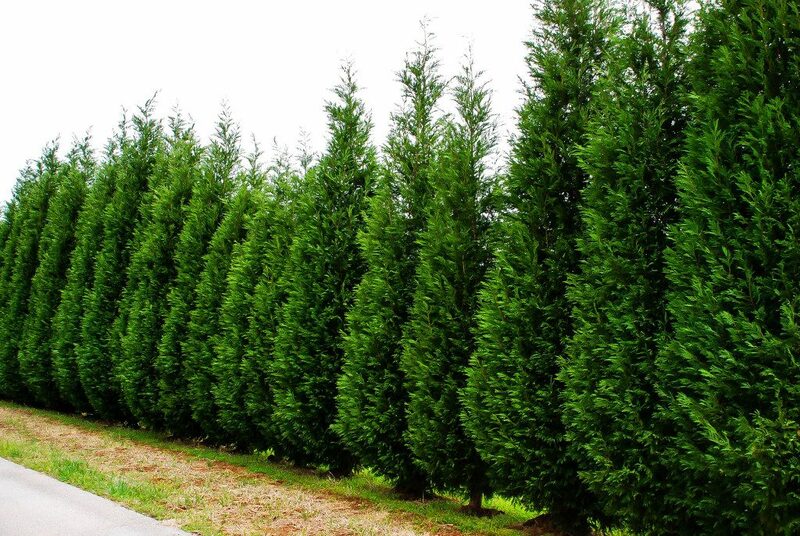 The Leyland Cypress remains attractive year round which is always a plus when picking out your trees. Once planted, these trees will spring up into a beautiful solid privacy wall before you know it! If your are looking for more of a hardy evergreen then turn to the Spartan Juniper. They will survive in most conditions and even thrive in times of drought. Even when left to grow naturally the Spartan Juniper grows into a visually pleasing shape. However you can easily clip them into hedges or trim them into columns. These trees can also thrive is decorative pots so they can accent your pool area or be used purely as decorative additions to your yard. The Spartan Juniper is highly resistant to pests and common tree diseases which make them an extremely low-maintenance evergreen! 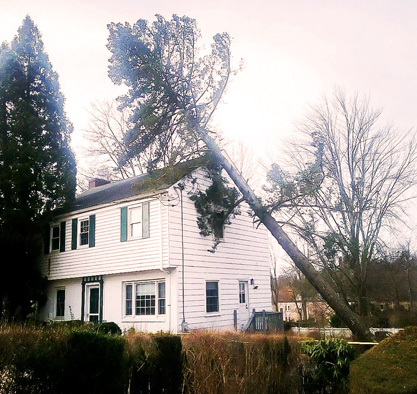 Be sure to contact Westchester Tree Life when making these decisions. A certified arborist is key to the success of your new landscape. Take down the fences and plant some trees as they will quickly spring up into living walls. It’s time to get outside in the fresh summer air,and you deserve to enjoy it in privacy! Turn your yard into your own private sanctuary with a natural border and keep unwanted eyes out! This entry was posted in Uncategorized on July 2, 2018 by Westchester Tree Life. Summer is just around the corner in Westchester County! The summer months can surely bring unbearable heat at times which cause so many to run to their air conditioned houses. 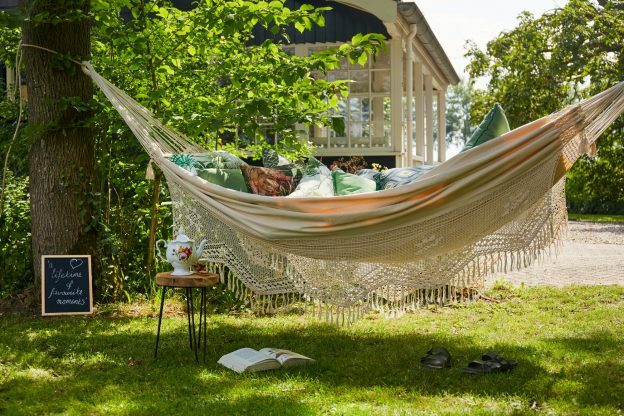 Let’s look at a way to escape the summer heat while still enjoying some fresh air. We waited all winter to get outside so let’s not lock ourselves back up indoors! An obvious escape from the high sun is to find a shady spot. When thinking about your landscape design, it is a good idea to incorporate some Shade Trees. 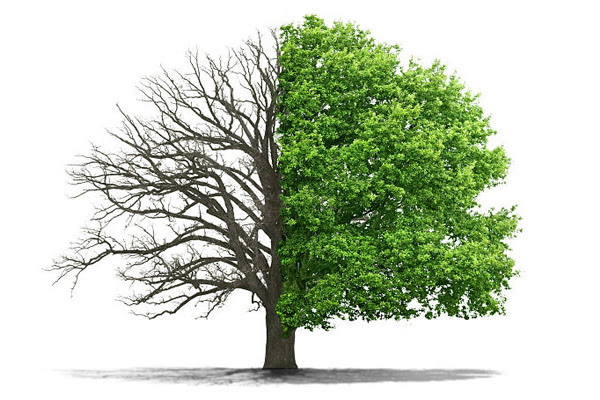 Typically these are deciduous trees that produce a thick leaf coverage in the warmer months of summer then shed their leaves upon the arrival of the cooler seasons. Let’s take a look at some of the shade trees that can help to offer a “cool spot in the shade” and also improve the overall appearance of your landscape design. This is definitely something to think about as you are designing the layout on your property. Maybe some of these trees are already on your property and now you can see them in a new light! Besides their obvious charm and elegance, Weeping Willows also serve as a fortress from the blazing sun during the summer months! 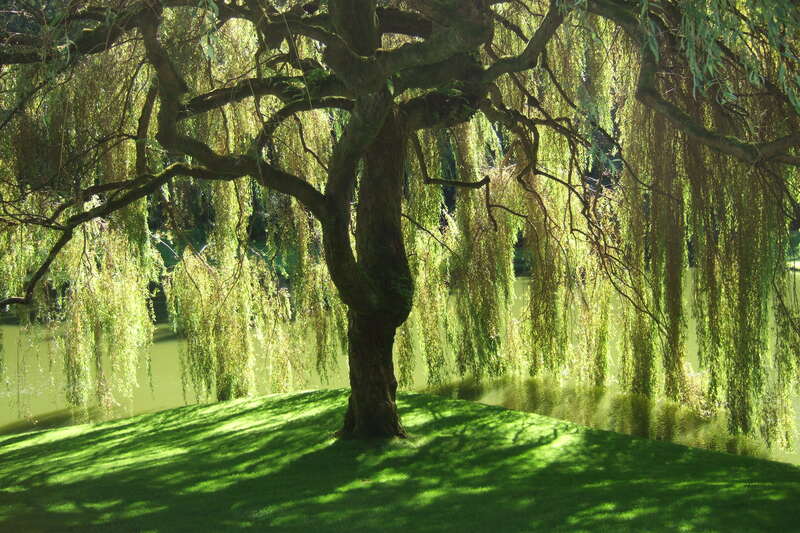 The weeping willow is a medium to large-sized deciduous tree that has the potential to grow up to 60 feet tall. They tend to grow rapidly, but unfortunately have a short lifespan. The beautiful shoots are a yellowish-brown, with very small buds. The leaves are patterned and spirally arranged. They are light green, with finely serrate margins and long tips. A cool summer breeze tends to animate these gorgeous trees and they are a very sought after addition to any landscape design! The White Birch Tree, also known as the European birch, can grow up to be 30 to 60 feet tall and features “drooping” branches. These trees have smaller leaves that offer a nice diffused shade. 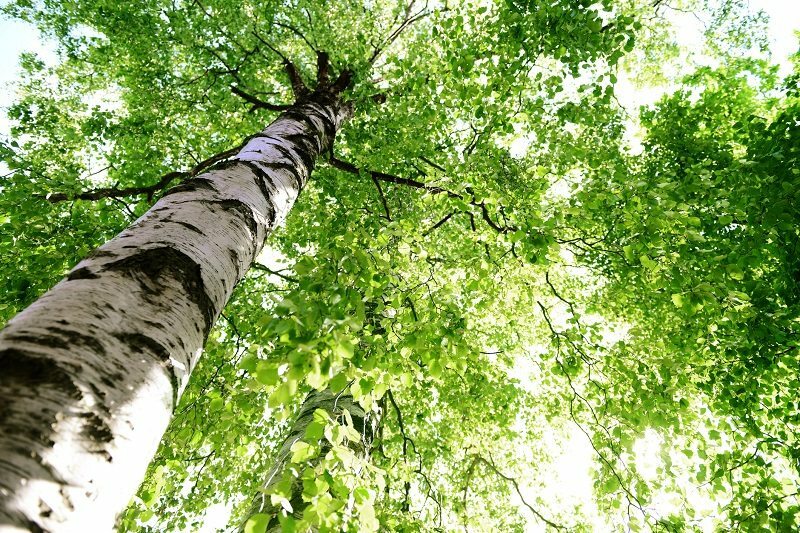 Birch trees in general are tolerant of most soil and climate conditions. They do, however, like moisture during the dryer summer months. Birch trees grow very fast, which is a plus if you are planning a new layout design while the peeling white bark can stand out in a landscape. The Silver Maple is the fastest growing of the Maple trees. Its branches spread out, producing a gorgeous canopy in the hot summer months! They can grow in upwards to 80ft and have a “wingspan” of up to 40ft! 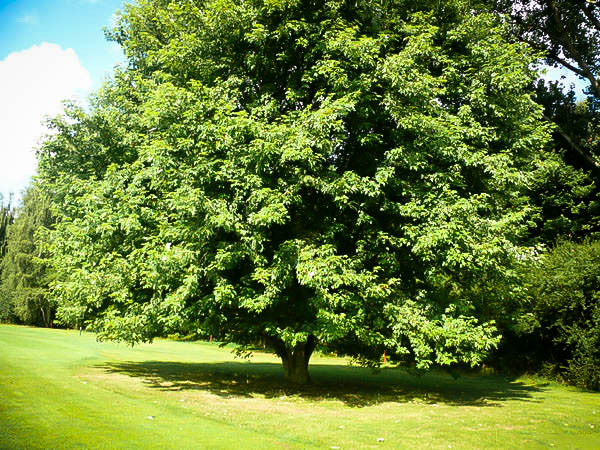 It is a very adaptable tree but it does require the most sunlight out of all the maples. The leaves are simple and palmately veined with deep angular notches between the five lobes. These trees are often planted for ornamental purposes because of their rapid growth and ease of propagation and transplanting. They are highly tolerant of urban situations and are frequently planted next to streets. So get out there and enjoy the beautiful weather that mother nature is serving up! Plan a picnic or grab your favorite book and find your spot in the shade under your shade tree of choice! Plus, by turning off the air conditioners we are saving money and energy which helps reduce your carbon footprint. Enjoy your summer! This entry was posted in Tips and tagged birch, shade trees, silver maple, summer, tree, trees, willow on June 6, 2018 by Westchester Tree Life.